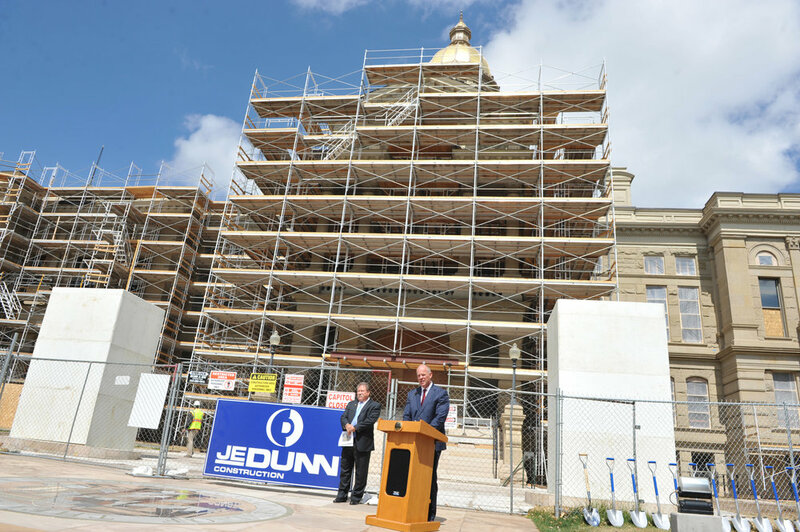 Co-chairmen of the Capitol Building Rehabilitation and Restoration Oversight Group Governor Matt Mead and Senator Tony Ross kicked off the groundbreaking ceremony with brief remarks on August 25. 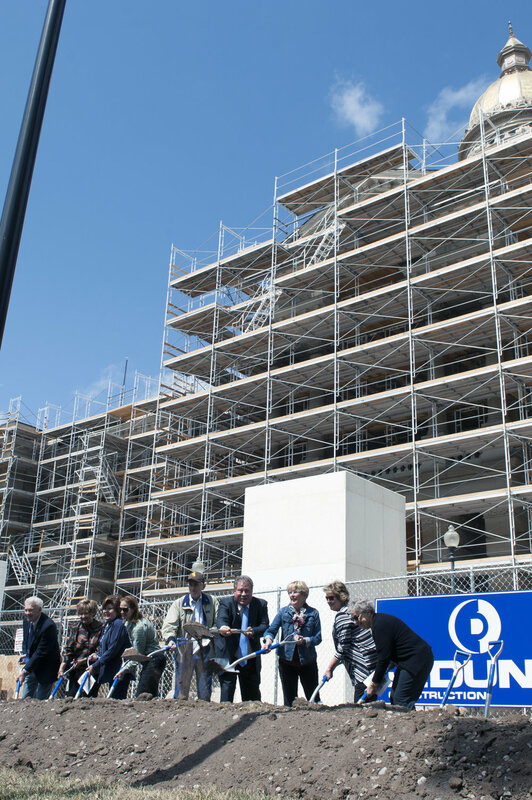 This complex multi-year project will preserve the historic character of the Capitol, improve public access to the political process, and address needed life safety and building systems deficiencies. 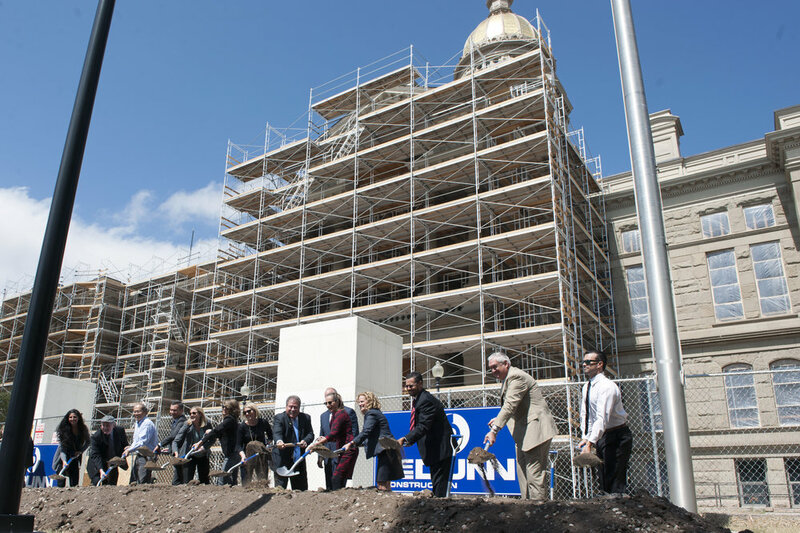 To prepare for construction, the Capitol and half of the Herschler Building have been vacated and the Capitol has been undergoing selective demolition and asbestos abatement. 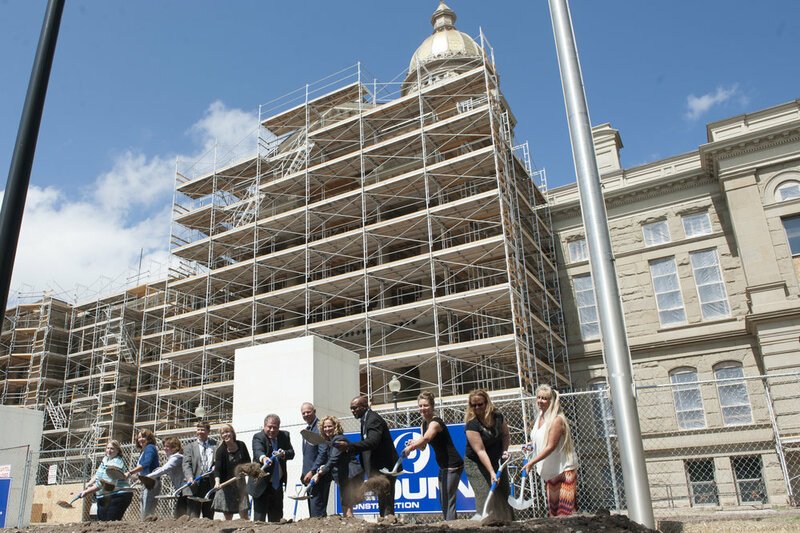 The project is now poised to launch into full-blown construction.